Business has predominantly been ruled by men. Being a strong woman in a man’s world is not easy. There are many challenges faced by women in business. Women need to be truly prepared for these challenges. That is the reason why people expect women in business to be truly strong and tough. While this is a common expectation from all women in business, the true definition of strength is different for different people. There are many different traits or characteristics that may together be regarded as strength among women in the business world. 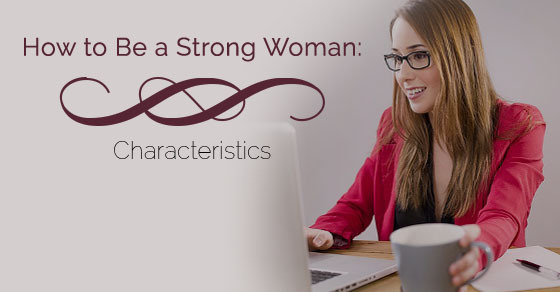 Here we have listed down these unique traits and characteristics of strong independent women. Very often, women fear to tread in a world ruled by men. This is because the rules that govern the thought process of men and women are quite different. They have a different perspective and way to handle the same challenges. That is why women often get scared to present a different viewpoint or opinion in a world that is governed by the masculine approach or thought process. Confidence is a vital ingredient that governs the strength of a woman in business. If a woman is not confident enough, she may not be able to take the right decisions at the right time and this may eventually affect her reputation at the workplace. When you enter a business or start a new venture, there are many risks involved. Very often, you may have to invest money without knowing whether there would be proper result to the investment. These are instances when you may have to take a few risks. There is always a chance of loss in business. You need to have the mental as well as financial preparedness for handling such losses. Women who lose hope with a single loss and do not possess the heart to take up risks or challenges, never succeed in their business. There is every chance of discrimination or bias when a woman enters a business that is predominantly run by men. There could be negative reviews and feedback. There could also be instances when people try to demotivate or discourage you. These are instances when you need to maintain an open mind. You should not react or get carried away by such comments. In fact, such comments should only inspire you to work harder and prove your worth in the business world. A little foresight or a woman’s intuition may prove useful in business. Many times, women are able to predict the trend of the business or what is in vogue simply because of their intuitive powers. Try to work and sharpen your intuitive powers. Use your foresight to predict any risks or uncertainties in business. The world is actually made for creative people. It always appreciates out of the box thoughts. Going with the flow is not an ability but being able to think differently definitely is. You must also have the courage to voice your unique thoughts even if it is not in coherence with other’s thoughts. There is a common misconception that women are easily carried away by emotions. People think that women can be easily persuaded through emotional blackmail. Women who are emotionally carried away are not the best for business. A woman who plans to lead the life of a businesswoman should strictly adhere to principles. Emotions or persuasive words should not divert her from her duty. Women can survive in business only if they strictly adhere to some basic business rules and principles. A woman of substance in the business world can succeed only if she is ambitious. She needs to be career oriented. Ambitious women are goal oriented and profit oriented. They know how to make the best use of their opportunities. Failures do not deter them and challenges do not waver their determination. Such women are great entrepreneurs and ideal for the business world. The trend is what makes a certain product popular. When a particular product is trending, it is the best time to sell the product or reap the benefits of its marketing and sale. People who catch up with the latest trends are the ones who reap maximum profits. Women who enter business should be able to adapt to the changing trends. This is not just about the changing trends in products. It is also about the changing trends in technology. You need to adapt to the benefits of the latest technology. Do not be too loyal to the old ways when the latest technology has something better to offer. Very often, women who do not possess sufficient knowledge in the field try to enter the business. This is bound to irk knowledgeable male counterparts. Women who enter business need to make sure that they have all the skills that are required in a particular business. They can work on their knowledge by reading and researching on the relevant topics. The internet is a great place to find all the relevant information at no extra cost. Very often, people are tempted to simply get namesake certifications to get jobs or start businesses. This is really a wrong approach. You need to make sure that you possess the right qualifications that are required in your field. Never fake your qualifications as this is only going to hamper your reputation. A fake degree only brings temporary benefits. You need to possess the right knowledge and qualifications to survive in the field. Very often, people do not realise the impact a dress code can have on the people around you. Even before you open your mouth, you make an impression on the onlooker with your dress and appearance. It is a great idea to work on your dress code and pick a formal attire that looks classy as well as professional. Women in professional circles may wear formal skirts, trousers, formal gowns or salwar suits. Sarees may seem a bit old fashioned and yet you need to pick what looks best on you. When you are wearing formal attire, go for subtle makeup. Avoid loud and gaudy jewellery. Women in business can survive only if they know how to communicate well. Communication involves many different aspects like written word and the way you speak to people. Speaking clearly and effectively often creates the best first impression. Make sure you are strong in your grammar. Improve your vocabulary by reading. A proper accent can also have a great impact on your listener. If you are starting a new venture, there is a great chance that you may have to actually meet the vendors and clients directly. You may have to finalize deals and this means a good deal of negotiations. Try to make sure you have good negotiation skills. Negotiation often involves speaking effectively, bargaining, knowing the actual rates of products and knowing to negotiate the deals without disappointing the opposite person. It requires not just talent but also a great deal of practice. Financial planning is an essential aspect of running a business. You must know well how to plan your finances if you have to run your business effectively. You must know how to create a budget and how to allocate resources based on your budget and availability. You must also know how to tackle unexpected losses. This means a good knowledge of math and tackling finances. A woman cannot survive in business if she does not inculcate this skill. It is said that women tend to lose their patience easily. This can hamper a business. You need to be extremely patient and coolheaded to run a business effectively. Any business may take some time to get established. That is the time when a business takes its roots. You need to have the patience to wait until the business is fully established. Today, more and more women are entering the business world and succeeding in being strong businesswomen. A change in the attitude of people is clearly visible. A strong woman is the result of the modern world. She has the power to change the world with her entrepreneurship skills.